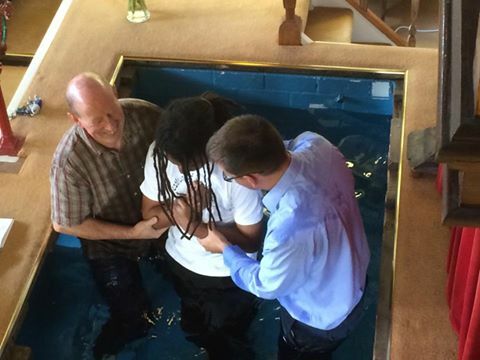 The Lord is certainly blessing us at Noddfa, after 18 years of drought we have had the privilege of Baptizing six brothers and sisters this year. Two of which were on Sunday. By God’s Grace I preached on Peters confession in Matthew 16. I asked the question, why did the people of the day, confuse Jesus the Son of God with such people? What made them think of John the Baptist, or Elijah or Jeremiah when they came into contact with Jesus? Well, it is clear from Scripture that John the Baptist unashamedly preached sin (Matthew 3:6). He made known the imperfections of the human race and his ministry convicted those who heard him and they followed such conviction with repentance and Baptism. John the Baptist was not a preacher that sugar coated the truth to earn approval from man! He taught the truth of the Bible! Even if it made his hearers feel uncomfortable! Even if by doing so would lead to rejection, persecution or even death! This is why “Some” thought Jesus was John the Baptist. Because when they came before Jesus, they were met with His perfection and these “some” could see (by comparison) their own imperfection! When they came before God the Son, they were convicted of their wrong doing, just as they were when they heard John the Baptist Preach. Why did they think Jesus was Elijah? Well Elijah was an Old Testament prophet who worked miracles, by God’s Grace he stopped the rain for three years and six months, he fed people with jars of flour and oil that never became empty. In God’s strength Elijah brought a child back to life. Elijah called to God to make Himself known and fire came from Heaven! Jesus (being God, God the Son) had more than a double portion of Elijah’s gifts! As He walked this earth, the blind received sight, the lame walked, those who had leprosy were cleansed, the deaf began to hear, the dead were raised! And such miracles have not ceased, for we still see worldly men and women profess faith in our living God. This in itself is a miracle. Why did they think Jesus was Jeremiah? Well Jeremiah was known as the weeping Prophet! Jesus calls us to weep for our sin! Jesus said Himself “Blessed are those that mourn” (Matthew 5:5). Christ Himself wept, He wept for Jerusalem, He wept for His people, He wept at Lazurus’ tomb, a man of sorrows acquainted with grief, despised and rejected by men. He suffered terribly; He endured humiliation as He bled naked on the cross! People thought Jesus was Jeremiah, because like Jeremiah He suffered, But Jesus did more, He suffered the horrors of Hell, so that us (His chosen) did not have to (Matt 16:21). The disciples told Jesus who people said that He was; Jeremiah, Elijah, John the Baptist and we have looked together as to why they might have got confused. But notice Jesus’ response. He said “Who do you say I am” (Matthew 16:15). God’s providence has brought these two brothers together for their Baptism’s. Both have been raised in Christian homes, both have been taught the Bible as Children, both have grown up with the knowledge of Jesus. But up until this point, had any of it saved them? No! Not a bit! When it comes to your eternal salvation it does not matter what the world tells you about Jesus, it does not matter what your family tells you about Jesus, it is all about what you say He is! Peter answered “You are the Messiah, the Son of the living God.” (Matthew 16:16). Let us put this amazing confession of Peter’s into context. The disciples are currently in Caesarea Philippi! (Matthew 16:13). A godless society no different to our own! Filled with idols made by man! Just like today, the people of Caesarea Philippi lived a life chasing their desires, chasing things of the world. If they were here today, they would be chasing the new cars, a bigger house, nice holidays, lots of money, wide screen tv’s, gadgets, or the latest fashions. Things that at best, are dying, at best will all eventually gather dust, decay, rot, get thrown away or be forgotten about! Our society today is no different to that of Caesarea Philippi. People live to gain riches of the world, instead of eternal riches in Christ. They live in death. Which makes Peter’s statement of “You are the Messiah, the Son of the Living God” even more profound! In our reading we hear that Jesus and just 12 disciples stood alone surrounded by a secular world. Just like then, we gather as a small church, surrounded by approximately 10,000 that would favour going to the shops to buy rubbish than come to worship their living God. In the midst of this consumerization and ultimately death, we have the privilege of witnessing our two brothers who have come to life in Christ, to declare publicly what Peter said here in verse 16, that Jesus is the Messiah, the Son of the Living God”. It is on this confession that Jesus has built His church on (Matthew 16:17). 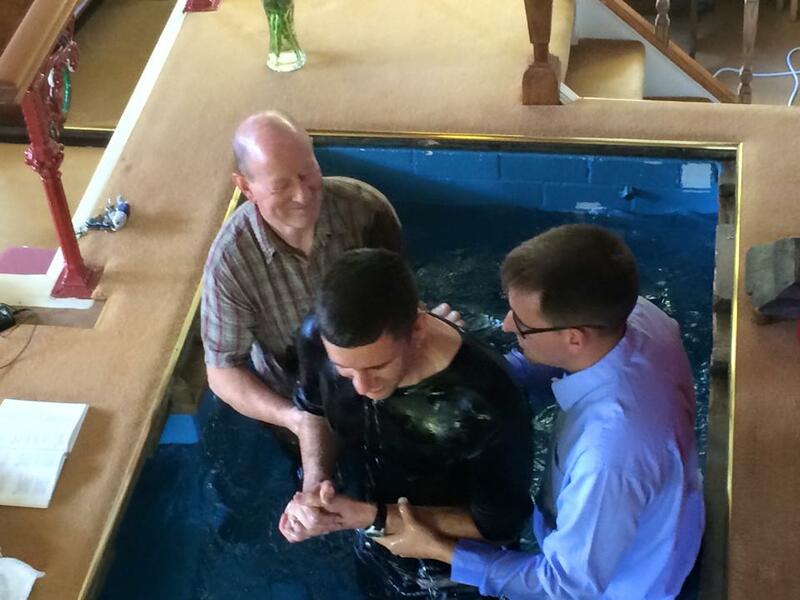 Despite generations of critics, Christians are still being baptised. We have been doing this for 2,000 years! Why? Because the human condition has not changed since the time of Jesus. Despite our modern technology we remain as selfish, as greedy, as pride driven and as lustful as we did back then! As true as these faculties are of us today, is as true as the cure! The Gospel! Over the coming weeks this letter is going out to the community that I love! The good people of Aberyschan, Talywain and Garndiffaith. Please Read and share. It has been a year since my wife, four kids and I moved into the area and we have been amazed by the welcome. We are truly blessed to live in such a loving community. 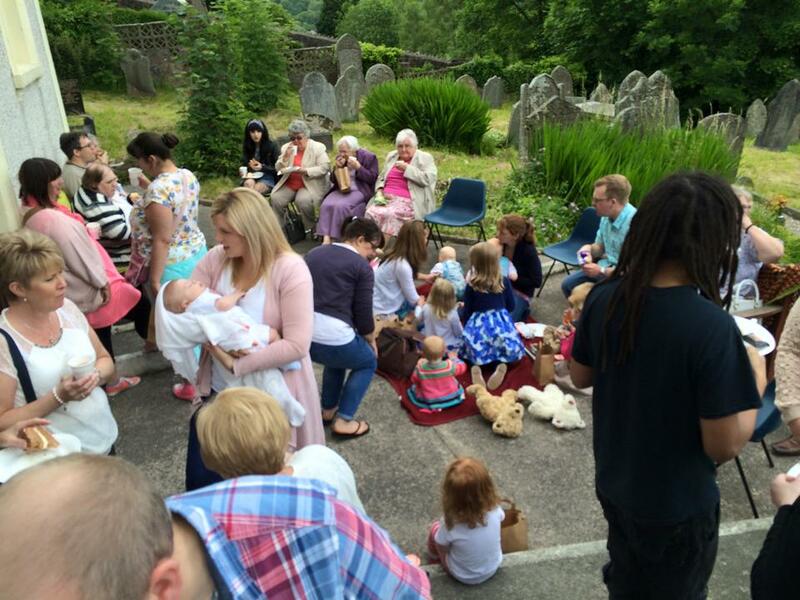 Within 12 months your local church (Noddfa) has gone from just a handful of devoted people meeting on a Sunday morning, to over thirty regular attendees of all ages and backgrounds. 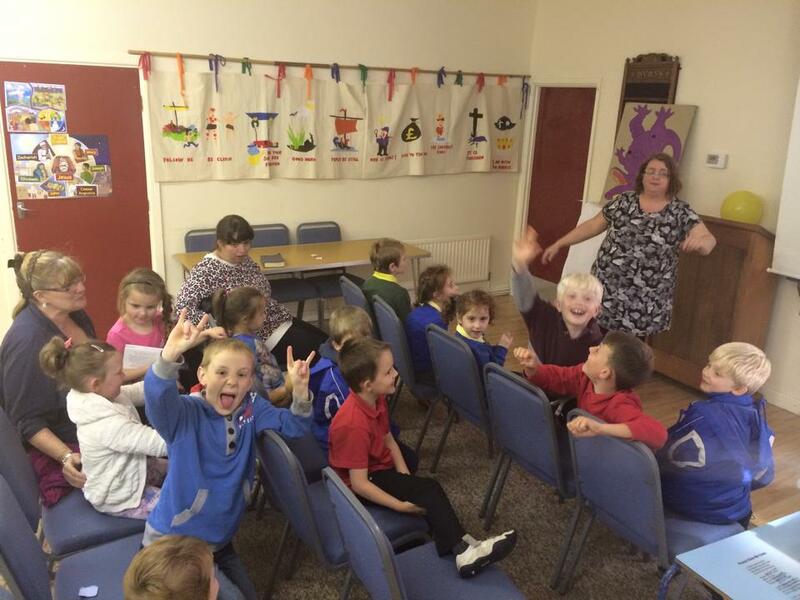 We have started a Sunday school during the service to keep the children/grandchildren busy so all the parents (and Grandparents) can have a break and enjoy their time with us, the kids love it to! 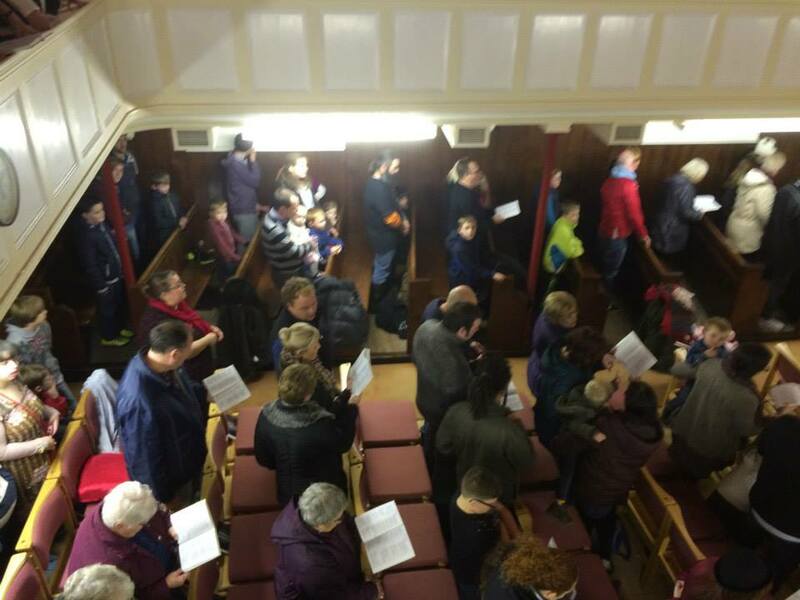 Our monthly family friendly evening services “Look Up” regularly see fifty or so attend. 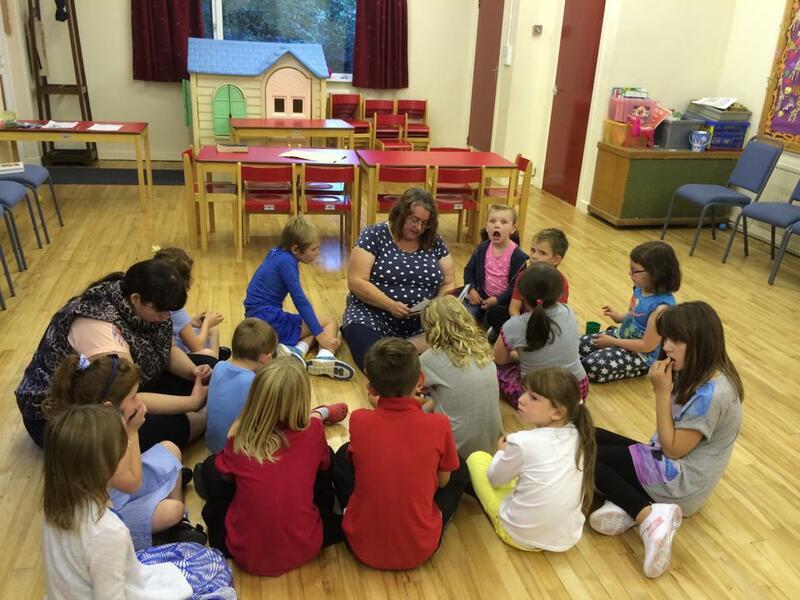 The Monday Club (6-7pm) is blossoming with many primary school aged children joining us for stories, games and refreshments. 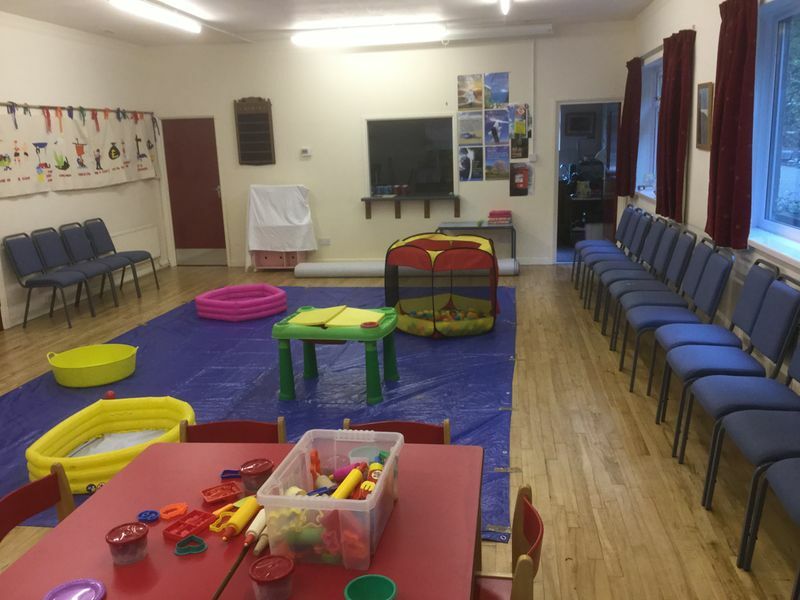 Our Mothers and Toddlers group (Tuesday 10am) has had to expand, so we are now running a “Messy” sensory play session every Thursday at 1pm. 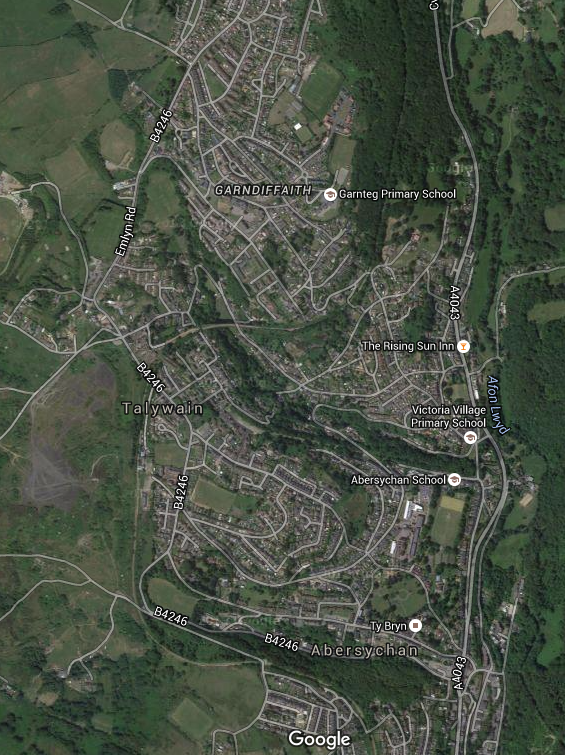 Noddfa is also a collection point for the local food bank and “Torfaen Aid for Refugees”. Whether you believe in God, or have other views, I remain here for you as your local Pastor and my door is always open. If you have any questions about your life and its meaning, if you are undergoing various trials, or if you simply fancy a chat please give me a call, or come and see us at one of our meetings. You and your family are more than welcome. 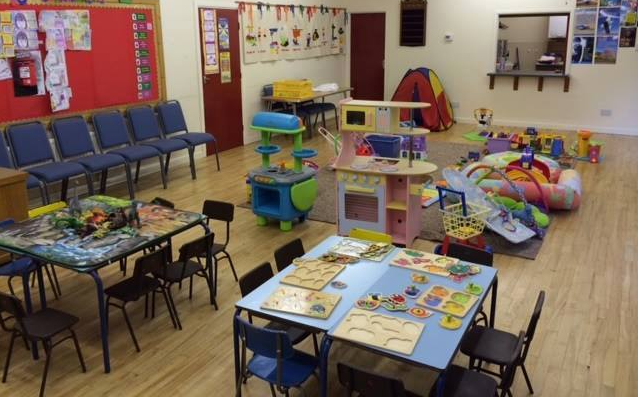 You can find out more on our website www.NoddfaBaptist.co.uk or Like “Noddfa Baptist Church” on Facebook. I hope we can meet in person at some point in the future. My details are below. Refugee Crisis! What must we do? Last night my wife and I were sat on the sofa, the children were all in bed and we were unwinding. Our faces were a glare as we both sat in the darkness scrolling through our social media news-feeds. My wife suddenly broke down in tears and I asked her what was wrong. My wife had seen a horrific picture of a three year old boy, washed up on a beach. He was face down in the sand with the waves washing past him. 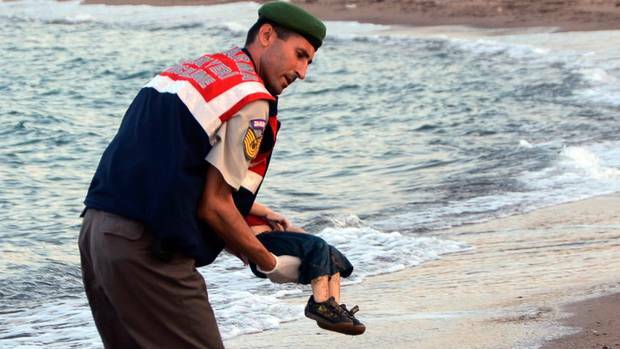 The little boy was dead, another casualty of the Syrian refugee crisis. The picture had cut deep. We have a little boy of the same age and we could not even begin to imagine a fate such as this for him. This summers news coverage has filled our homes with images of thousands of desperate people rushing in on Europe’s eastern boarders, or waiting in squalor at Calais for processing so they can begin a new life. Such images invoke different feelings and opinions, but this image undermined such futile politics and really brought the severity and immediacy of such a crisis to the forefront. Such scenes that we are witnessing (from the comfort of our sofa’s) begs us to ask the question, what is going on? Why is this all happening and what does it mean? As we turn on the news, these words of our Lord ring truer than ever, as we view the human tragedy of refugees risking all to seek a new life. So, as Christians, what must we do? How shall we react? What is the Lord saying to us here in these circumstances? Well our Lord is clear in His answer. He is saying that despite all these ills, the “gospel of the kingdom will be proclaimed throughout the whole world as a testimony to all nations”. This is the task He gave us in the great commission (Matthew 28: 16-20) and in the face of such tragedy it must remain our focus! We must remember that these people are not just ‘refugees, they are desperate people and they are in great need! And like everyone else they need to hear the Gospel! Such suffering is an opportunity for us to share the truth of Jesus Christ and the love of God. By sacrificially giving to causes that will support them and most importantly pray for them. As Christians we must be light in the darkness, our God given love for these people must be shown now and used as a platform for the Word of God. We must tell these Refugees that the God of Heaven loves them. That He took on flesh to walk in this cursed world and that He came and helped the sick and needy, the weak and the lost. We must show them that God loves the sojourner, the widow and the Fatherless. We must tell them that Jesus can heal you from the trauma of war and that He can give you peace, assurance and a fresh start! The Bible teaches us that Mankind is naturally sinful. Our greed, lusts and pride will always cause injustice, suffering and war. Jesus reminds us here in Matthew 24:6-14 that because of our Sin this is the norm and our job as Christians remains the same. We are to be God’s means to fight against it with love and kindness.